This compilation opens by examining earlier investigations of the oil drops dynamics in the marine environment, including the influence of their buoyancy and the dissolution of gases contained inside crude oil. Modelling these processes presents possibilities for estimating the spatial scales of oil drops spreading within the sea environment and on the sea surface, as well as their effect on an ice cover of ice infested seas. The presented information can be the basis for development the instruments for remote detection of crude oil escapes from seabed pipelines. 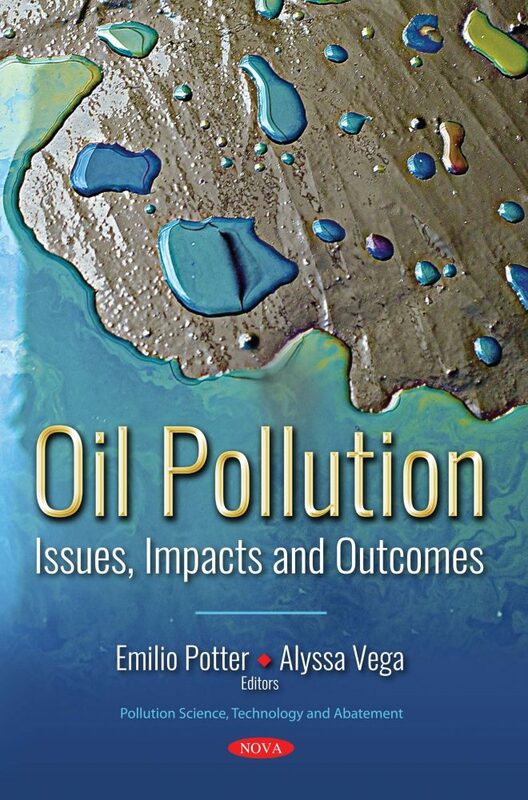 Soil in places of oil pollution, such as Western Siberia, is discussed. The degree of influence of pollutants depends on the type of soils. For instance, it may affect more on peat than on mineral soils. In the northern part of Western Siberia, peatlands with a low content of ash elements are dominant. In the event of an oil leak, an essential element of effective response to any adverse consequences is proper planning for definition of necessary tasks, personnel, and resources. As such, the authors stress the importance of implementing modern features, like automated monitoring and rapid response, in crisis situations in areas of enterprise information systems development. This is urgent for the petroleum and gas sectors of the Russian economy, as the number of oil leaks has increased to 28,000 per year. The concluding paper presents the results of original long-term field research carried out on geographically different seacoasts. The results are analyzed in order to determine the rates of spilled fuel oil natural destruction and to consider their relationship with principal environmental factors such as climatic and hydrological conditions, coast exposure and geomorphology, types of substrate, and intensity of biogeochemical cycles. The examination of the observed rates of oil shows that temperature and seawater salinity are crucial environmental factors in the self-cleaning process.